We are proud to be Cornwall's leading Bailey Caravan Dealership. It is important to Penrose Touring that we are able to offer the pedigree and innovation that comes from supplying Bailey Caravans. 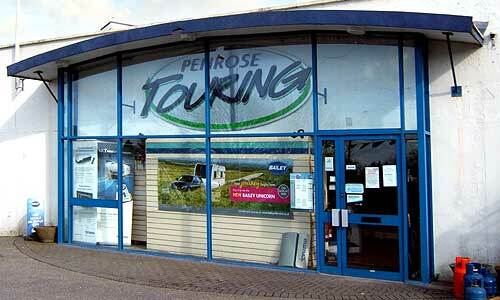 Here at Penrose Touring we have been supplying quality used caravans to Cornwall and wider afield for as long as we can remember. Unless stated all our used caravans typically come with a 12 month nationally backed warranty. Again, unless otherwise stated, all used caravans come with a full service. You will find all our used caravans displayed with several images and full specifications on our website or of course if you are in the area you are welcome to come and view the caravans at your leisure. We are always interested in discussing options such as part exchange deals or trade ins etc with customers, so please feel free to contact us for a no pressure conversation - we would be delighted to hear from you. Over the years our range of caravan awnings and annexes has grown to include major brands - Isabella, Ventura, Kampa and Dorema. Because of this we are able to offer a huge range of both quality and choice. All are detailed and available on our website. If you are local or in Cornwall during the spring and summer months, we have an awning display area at the rear of our premises. A number of awnings are fully pitched with camping furniture on display.